through the night of time and space. through the numbing tide of winter. Fri 5th Apr - LAST DAY OF SCHOOL - no change to finish time - Autumn Festival. Head, Heart and Hands Exhibition – The Head, Heart and Hands Exhibition has been a great success as part of the Waldorf 100 celebration. Many people have been through the exhibition with very favourable comments about the children’s works, some even wishing to purchase some of the prints from Class 8. So many thanks are necessary for staging of this significant event, including Chris Curtis, whose idea it was in the first place and whose energy and enthusiasm carried the event to fruition, along with the wonderful organisational skills of Rachael Pearce, who is our Comms & Marketing officer. The P&F provided glorious food and refreshments and our 6, 7, 8 student ensemble group were delightful, ably assisted by Leonie, Jeanette and Phil. Thank you one and all. 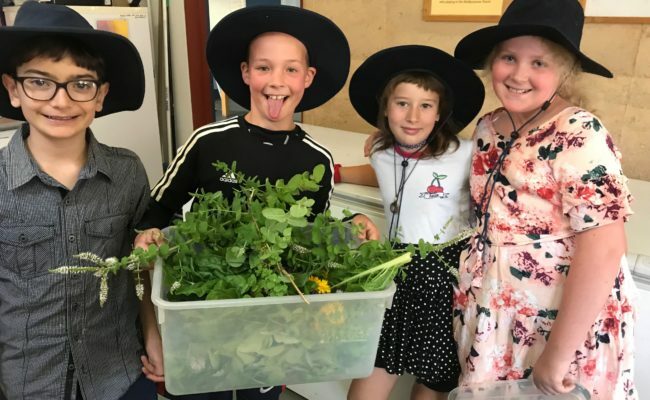 Steiner Education is the fastest growing Independent Schooling model in the world and Castlemaine has been part of that growth for over 26 years, contributing to the lives of so many families in that time. We have a beautiful school due to the work and dedication of so many people going back to its inception in Barker’s Ck, its move to Maldon and its resting place here in Muckleford. 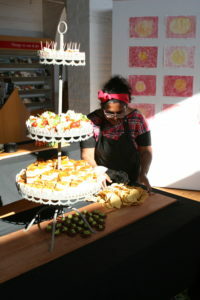 Enjoy some photos from the event – thanks to Stephanie Archbold for being our photographer! Sharing the infrastructure used by the Golf Club to bring recycled water that is suitable for parks, gardens and sporting ovals onsite. Each have their advantages and pitfalls and the next step in our process is to do a side-by-sided analysis of the risks and downfalls to determine which option meets our needs at a pragmatic and cost effective way. If parents have any historical or technical knowledge that may assist us in our decision-making I would be happy to hear from you. We are receiving good feedback from instructors and children about the Friday afternoon program. We have been having such a busy time in Kinder. Each week the children are exploring our delightful kinder with such enthusiasm. 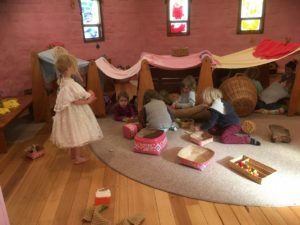 Last week we had a cubby that had one room, and then as more and more of our friends joined us we built on more and more rooms, finally we had about 6 rooms!! The children have also been busy painting in kinder. It is delightful to see them enjoying themselves. Please remember to check your parent pocket for notices. I notice there are some pockets that are not being checked. Please remember to not leave in the morning before your children are inside with the educators, children are not to be left outside on the swing or playing in the garden please. All our educators are inside and we are not able to supervise outside as well. Thank you. Please remember to put a hat in your child’s bag. A few of the children are consistently coming without a hat. Spare hats are there for special occasions, but they do add to the washing pile each week if children forget. Please feel free to leave a hat at kinder on your child’s hook. Our festival is coming up. Thursday the 4th of April at 9.15am till approx. 11.00am. Please wait outside the gate and we will call you in when we have prepared the room. Please be aware that all children will leave at 11.00sh am. All children will have a short day on the last day of kindergarten. Enjoy your holidays. Thank you to all the parents who attended our Class meeting last week. It was an opportunity for me to share with you how well the children are going and the areas I have been working to support. For those parents who were unable to attend i will put some articles for you to read in your child’s locker. These are for your interest and consideration and not meant to be prescriptive. The end of term is fast approaching. Our Autumn festival will be on the last day of term, Thursday 4th April, 9-11am. Please remember to send the children dressed in lots of layers on these cold mornings. Over the last couple of weeks, we have been continuing our Letters Main Lesson. The children are really enjoying this work and have been quite focused on practising the letters they have learned so far. In other news, we have begun our Junior School Choir practice on Thursday mornings and we are learning a range of folk songs to sing together with other students from Class 2 to Class 4. The children appear to have taken a liking to a couple of these songs already, and I often hear them singing/humming quietly throughout the day. A big thank you to everyone who came to the Parent Night last Wednesday! It was a lovely to catch up with you all and to discuss our Class One Curriculum work for the year. Crafts materials needed – if anyone has easy access to fabric scraps, willow stems and stalks of wheat/barley, please let me know. 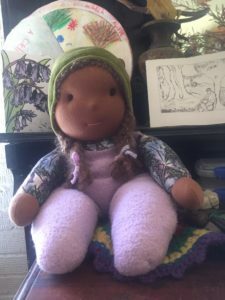 Scraps of fabric are always useful for different craft projects, and I would love to do some basket weaving and make barley corn dollies with our class at some stage as well. 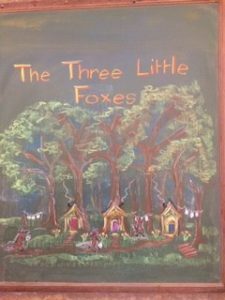 Continuing our maths fun, the Gnomes have had the very good fortune of meeting the Three Little Foxes at the Fair! 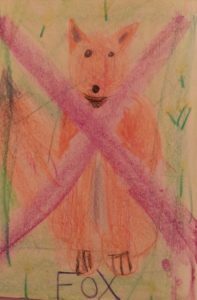 You will of course remember them as they are the foxes who kept their handkerchief in the cardboard boxes. We have had great fun with these little fellows and lots of opportunities to practice our developing maths skills – particularly working in threes! One child was heard to comment “This is the best main lesson ever!” It is good when maths is so inspiring and fun. Our next Main Lesson looks at the legends of the native American Indians, with lots of reading and writing practice. Time flies when you are having fun, so the saying goes! Class 5 are having fun most mornings as they attempt to better their personal best time (group best) as they run and skip their lap. We are engaging with Ancient Persia in our Main Lesson at the moment and students are practicing their writing craft; using descriptive phrases as they bring their characters to life. 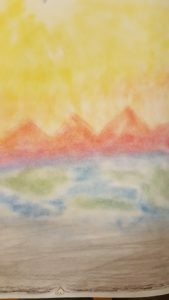 Students are also working on drawing technique as they represent the mountain ranges and beautiful light of this part of the world. Class 6 have begun a new Main Lesson “The Stars Once Spoke to Man.” This is a Science Main Lesson exploring Astronomy. We have begun the week learning and observing the suns movements throughout the day. Historically for many ancient cultures the sun was seen as a God. The people woke with the sun and went to bed when the sun set. Later the Ancient Babylonians began to track the course of the sun but it took them four years to see the sun replicate its same path (hence the Leap year) Here we had the introduction of a calendar year, but measuring the sun into a set time frame has proven to be very difficult as the children found out. It would be wonderful if during this Main Lesson (until the end of term) if the children could spend a few minutes each night observing the night sky. 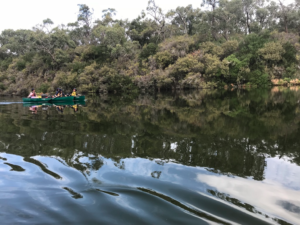 Class 7 have had some wonderful 4 days last week, paddling down the beautiful Glenelg River and sleeping under the stars each night. We heard koalas, saw red-tail black cockatoos, yellow breasted robins, gang-gangs, rosellas, eagles, ducks, various water birds. Wren families visited us daily tidying up any crumbs left behind. We baked our own bread, cooked dahl and rice, sausages and salad, made pancakes and eggs & bacon for breakfast. We visited some amazing limestone caves on the last day with incredible limestone formations and they are at a constant 15 degrees all year. Our paddling skills have been further improved and we had with no capsizes or misfortunes. Everyone worked well together packing and unpacking the canoes – we had to carrying everything with us on the canoes. Thank you to Iben and LaTrobe Uni students, Chip and Sarita, for coming along to help. Major Project work is picking up momentum with the first official progress presentations to the class next week. It is exciting to see the students’ ideas beginning to manifest into physical reality! The photo shows students working on their pieces of Carrara marble last week. How extraordinary to think that sculptors of the Renaissance shaped this medium into emotive human forms, and luxuriant drapery! We’ve had a great start to the year in PE framed in the definitions expressed and explored by classes 4-8 during our first lesson and guided by the curriculum . We started the year the big questions: “What is Physical Education and how will we learn?”. Fleshing out the definition has taken the focus off PE being solely sport based subject and, through this whole class reflection we’ve discovered that Physical Education offers a lot more opportunity and variety for learning than what it might appear at first glance. This term as we’ve been exploring what physical education is. Students have been challenged and have had a lot of fun, practicing a range of movement patterns, learning new games and developing interpersonal relationships through communication, patience and supporting one another. 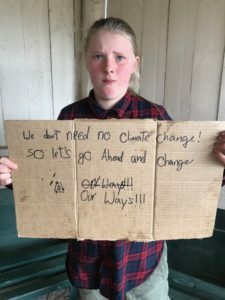 Students have been supported and encouraged to try things they haven’t done before and there has (for the most part) been an enthusiastic response and a lot of sanctification in practicing and implementing what they have been learning. It has been a rich and rewarding experience to witness the development of the students week to week, to hear their feedback and ideas as well. On Friday afternoons with classes 6,7 & 8 students have been participating in “sport rotations”. Students are in composite groups and will journey with their group throughout the year experiencing a different 8 week program with a mentor in golf, martial arts, orienteering and circus. Each term the groups rotate the sport they are doing so each group is doing something different. We are 6 weeks into the program and I’ve had great feedback from the students and mentors alike about their experiences so far. Over the school holidays I will be taking an 8 day course in Adelaide, training in Bothmer Gymnastics and look forward to implementing that learning early term 2. I have felt very welcomed and supported by students, staff and parents since officially beginning at the school this year and I look forward to continuing to grow with the community. 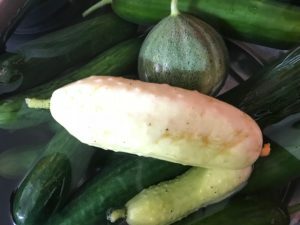 The variety of cucumber in our garden. French classes are zooming along for all our students and we can hardly believe that we are already half way through the term. In Class Six students have begun to learn an opening and finishing verse in French for their weekly class – along with the all important Bon Appetit! with which we sign off at the start of each Monday lunch time. And on the subject of eating, students put a lot of enthusiasm into the traditional celebration of Fat Tuesday (known to us by its French translation: Mardi Gras), especially in their design and construction of some lovely masques de carnavale. Class Seven students completed a translation exercise for a crepes recipe, which caused much debate about how to cook the perfect crepe for Fat Tuesday … and they are progressing beautifully on the booklet of Chansons francaises which they have designed for keeping a record of the French songs we are learning. And Class Eight are accessing a wonderful new French Canadian language series to practice immersion French in class each week. If you want to try it out for yourselves, you can find Bistro Escargot on ABC i-view. This time I wanted to share a bit of what I do with the children in more detail. Class 1: We start by greeting each other in Spanish and then we recite together our opening verse. Children transition from their desks into a circle while we sing a little song “A la Víbora de la Mar”. Once in the circle we sing some songs they know from our sessions in Prep. 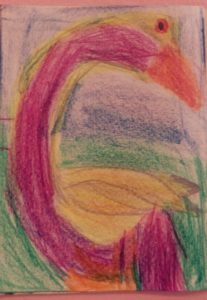 Then they sit down and narrow the circle so that they can watch what I draw with crayons on a paper, while I do this I speak in Spanish. We started drawing the ground/earth (la tierra), the sun (el sol) and the sky (el cielo) in week 2. The following week I added a tree (un árbol) with some of its parts: Trunk (tronco), branches (ramas) and leaves (hojas). 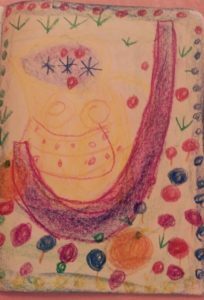 The week after I drew the earth, sky and sun and added a flower (una flor). Last week we drew la tierra, el sol, el cielo, un árbol, una flor y pasto (and grass). So the children do the first part of the lesson in the same way every time and while I draw I introduce the nouns included in the songs they are singing one by one at every week. After they worked for some time on their pictures (5-10mins) I ask them to write their names on the back of the paper so that I can collect them (this I do in English). We finish our lesson by reciting our opening verse as well as our closing verse. My intention is that the children experience Spanish language in an active, creative and harmonious way. The fruits of this work will blossom in later years. Music News - Performances and Camps! Come along and see some of our music team – Bendigo Symphony Orchestra concert starring Jeanette Leonie and Phil! This would be a wonderful concert for our students to see as the soloist in Tchaikowsky’s violin concerto is 12 year old Edward Walton. State Music Camp – A non-residential camp for young orchestral musicians. This much admired and respected camp is in its 58th year. For a week each year, State Music Camp hosts a camp that provides instrumental students the opportunity to play in one of four different ensembles. 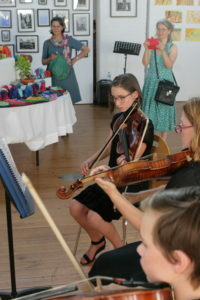 Border Music Camp – is lots of fun – its the best week of the year! String Mania Camp – Stringmania is an immersive camp for string musicians from beginner to advanced, who are passionate or curious about contemporary and traditional music. GSMC – Geelong Summer Music Camp runs from 12th – 17th January 2020. Videos and photos available at this link. 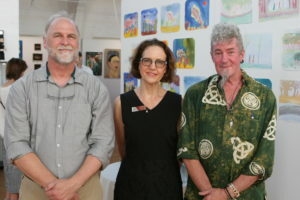 Young Music Society – “Let’s Celebrate with Music” Director: Jim Sharrock with Jenny Sawyer and Alexander Wanjura. An exciting non-residential holiday program for primary-ages students packed with fun and educative musical and arts-based activities during school hours led by leading musicians and music teachers. Follow this link for Summer School programs too. 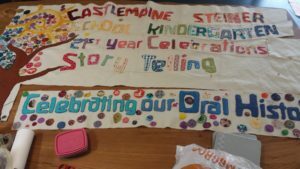 Castlemaine Steiner School and Kindergarten is incorporated as a Company Limited by Guarantee, which is a specialised form of public company designed for not-for-profit organisations. Parents of currently enrolled students, and current staff of the school, are eligible to apply for membership of the Company. Membership provides the right to vote in the elections for Company Directors (Board members) and other rights outlined in the CSSK Company Constitution. If you would like to become a member, please complete this Application for CSSK Company Membership form. A reminder that our first P&F Committee meeting is this week on Thursday, 21 March at 7.30pm in the Parents Room. We will only hold meetings in the evening occasionally so get in touch if you’d like to be involved but evenings aren’t convenient. 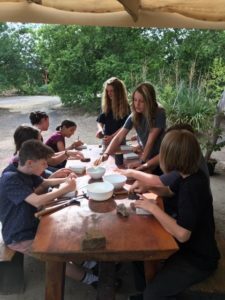 Apart from organising Spring Fair and helping out with Festivals, there are opportunities to be involved with bringing to life projects in the gardens, the grounds and the classrooms. 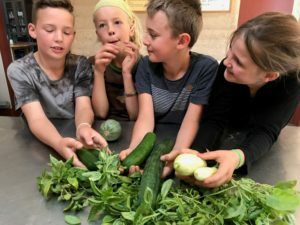 The school is exploring possibilities for social enterprises running out of the garden and the kitchen, so there are exciting opportunities coming up. The Autumn festival on the last day of term will include an afternoon tea (contributions of baking will be gratefully received) and a small craft stall. 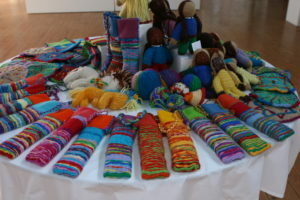 Let us know if you have handcrafted items that you’d like to sell from the craft table. More information will come home shortly. The CSSK Board has created a Policy Working Group to oversee the process of updating and managing school policies. We are inviting members of the school community who have experience in governance and policy to join the working group. We anticipate the group will meet once a month. The Working Group will be convened by the Board Chair, Jane Staley. If you are interested in contributing your specialist skills to support the school we would be very pleased to hear from you. You can express your interest via enquireis@cssk.vic.edu.au or by leaving a message at the office. Well, Wednesday morning Craft is finally gaining momentum and what can only be described as a warm rhythm between us all. This has been absolutely nourishing for me. 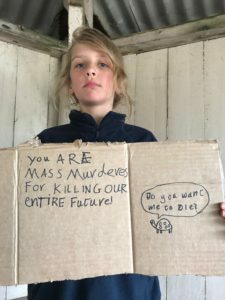 I have enjoyed connecting with parents and the children under the rather instinctive impulse that threads us all. Heart to Hands. Our handicraft is also building momentum as our dollmaking is beginning to express human form. Thank you to all the parents who have, thus far, contributed to this important process. 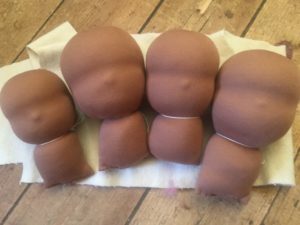 Doll repairs have been undertaken and will be ongoing throughout this year. Please let me or Julie know if something else requires an extra stitch or a more substantial repair within your classrooms. I have included a Dry Felted piece created by Joan. A beautiful Easter expression. The parents thoroughly enjoyed learning this creative skill and most significantly.. how not to get pricked! If you would like to learn more about Dry Felting but couldn’t make the session – I will be offering a day next term. This Community Project still requires many tender hands. I will be leaving this work out for any parents or students who may wish to add their contribution to its long overdue completion – Initially a major project which celebrated our school reaching 21 years. This too will be ongoing throughout the year. This Wednesday I will teach Wet Felting from 9 – 11:30. 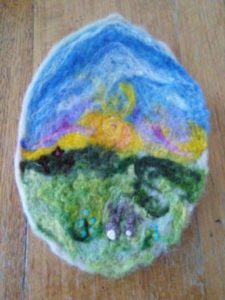 We will be making felted Eggs and trying our hand at Ball-chimes for the very young. Please do come and introduce yourselves on a Wednesday morning. Stay for a cuppa or some craft. Any time allocated would be much appreciated. Happy Crafting…& remember nimble fingers make nimble minds! 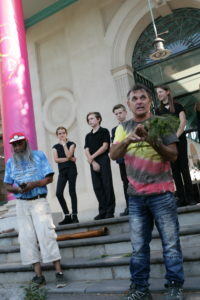 From March 8 -11, I had the privilege of attending the Steiner Outdoor Classroom Conference at the Little Yarra School. I found this to be an incredibly beneficial weekend, filled with many invalusable experiences, insights and connections. By the last day of practical, immersive learning – I felt extremely weary, humbled and transformed. The conference was led by teo International Steiner Faciliators; Bernard Graves (Britain) and John Lawry (NZ). Both led lectures on “Hands on Learning in the Digital Age and Experiential Learning: Its Contemporary Necessity. I hope to impart some of what I have learned and offer possibilities of its broader vision within our own curriculum. Here is a picture I thought you might like to see. With love and respect for human endeavour & the hands that maketh. From the Office - "The Life of Ken!" The Office team will be one man down next Term and we thought this might be a great opportunity to give more insight into our team. We all know the work that our fabulous teachers and support staff do, but we would like to share more on what our Office team get up to and we thought we’d start with Ken, as he’s going to be travelling overseas for the whole of Term 2! Ken is responsible for so many duties and has lots of variety in the role he fulfills for us. Whilst on Reception he’s answering telephone calls and emails, providing late slips and monitoring attendance, teacher admin assistance, bus lists, stationery ordering, school supply orders, assisting with camps/excursions, assisting with government census reports, proof reading documents, accepting/directing deliveries and mail collection/distribution. He’s our first aider for the kids as well as provider of some first aid staff training. He holds significant responsibility within our Emergency Management System and is our resident snake catcher! Then at other times he’s busy across the school assisting with the Maintenance and Garden team. This could mean anything from cleaning toilets, watering systems, fixing taps, re-setting circuits, troubleshooting whilst Huw is away, etc. He is chief tech on setting up lighting for plays/concerts, carpark safety warden, develops term calendars for staff, finds or covers yard duty replacements, key master, clock adjuster, archive record management, energy purchaser/monitoring and sometimes out of hours school bus driver for excursions. You name it Ken does it! So you can imagine that we’re going to miss Ken whilst he’s having a fabulous time in Europe. There is no way we can do without this role for a whole term though and fortunately we have a new person starting with us to help. Tracey Robertson will be here from Wednesday 27th March, so please say hello and welcome her to our school when you meet her for the first time. We will miss Ken and his encyclopaedic knowledge, however, we won’t miss his terrible ‘dad jokes’…….Bon Voyage Ken!!! On Saturday 23rd March from 6:30pm-10:30pm at a private residence in Muckleford Kellie Curtis, alongside Esther Scarboe and Zenith Flume we will be holding a women’s circle and ecstatic dance experience with the loving support of cacao (aka pure chocolate!). 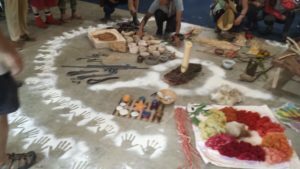 Dancing with cacao and being with women like this magic! It brings clarity, joy, heart connection and release. We have a great sound system and a playlist curated specifically to take you through a rich and powerful journey into your body and beyond. Please come along if you are feeling drawn to the mystery of this gorgeous evening. Give me a call if you’d like more information 0409531141, All women welcome. Exactly as you are. PS Drinking cacao is optional, you can always come for the joy of being in circle, ceremony and dance! 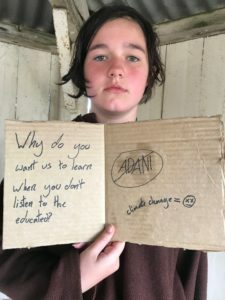 This part-time course is being offered by the Melbourne Rudolf Steiner Seminar in Central Victoria on a Thursday evening from 7.00-10.00pm during school terms. 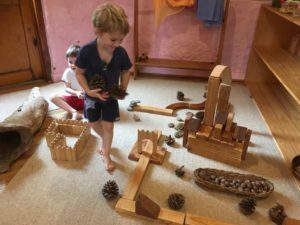 It is suitable for parents, practising or prospective teachers, and anyone wishing to deepen and extend their knowledge of Rudolf Steiner education and child development. A wonderful new movement class has been introduced at Over the Moon … 5Rhythms led by the wonderful Thias Sansom. 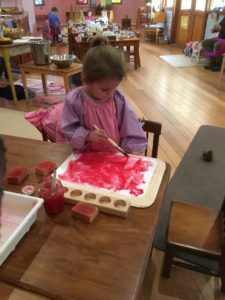 In each class, Thias leads the children in exploring the 5Rhythms: Flowing, Staccato, Chaos, Lyrical ans Stillness to discover new ways of moving individually, in pairs and groups to create performance art. See the attached for further information. We have a new starter joining us next Term and the family are relocating from Perth to the area. If you know of any available rental properties available from mid April onwards, 2-3 bedrooms, outdoor garage shed required. Cat friendly, Castlemaine, Chewton & Fryerstown and up to $400 per week, please contact Tracey Robertson on 0434 953 516. 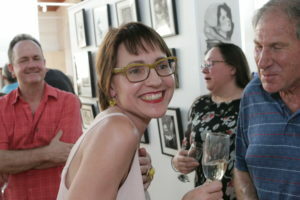 Exhibition of beautiful drawings and book signings available. Have you made a resolution to try something new, do you want to get more exercise or do you just love to dance? No Lights No Lycra is a monthly hour long dance event held in the dark at Westend Hall. Come alone or enjoy with friends. There’s enough light to see shapes of people around you but the room is dark enough to lose any inhibitions. You can dance like no one is watching! There’s a different play list each month including a mix of dance tracks from pop to indie, rock to hip hop, dance and soul to Top 40. With no technique or steps to learn, it’s just free movement in a friendly and non-threatening environment. No need to be put off by the heat. The hall is now air-conditioned. No Lights No Lycra is a drug and alcohol free event. Just wear something comfortable. 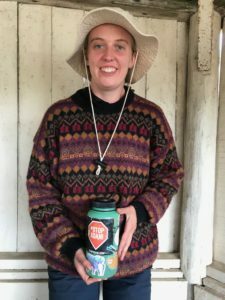 For more information follow the No Lights No Lycra Castlemaine (@Castlemainenlnl) page or find us on Instagram (@nolightsnolycra_castlemaine). We are just starting to finalise our school holiday activities and I have two flyers attached for you that may be of interest. 1. Author illustrator Renee Treml has published her first illustrated chapter book, Sherlock Bones and will be visiting Squishy for a reading and illustrating workshop. Renee has previously written picture books with gorgeous iconic Australian animal illustrations, and this is her first branch into junior fiction. Sherlock Bones is great for lovers of Real Pigeons, Bad Guys and Ninja Kid. 2. Ailsa Wild is returning for a final writing workshop as we celebrate the last book in her Squishy Taylor series. 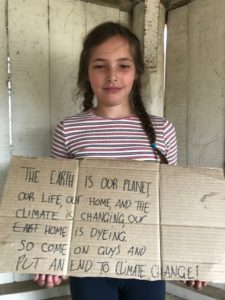 Ailsa’s workshops are interactive, fun and great for kids already writing their own stories and others who need a bit of a confidence boost. Castlemaine Goldfields FC would like to invite Women and Girls to Come and Try Soccer! CGFC we will hold a ‘This Girl Can’ Come and Try session, for anyone who wants to try out the beautiful game. Play soccer in a relaxed, fun and inclusive way, with experienced coaches. Including guest coach/player, BBQ, prizes and more. Come and give soccer a go! We have Girls teams at U10s, U12s and U14s this season as well as competitive Senior Women and Social Women. Comes with both a hard case and a soft case. A few scratches on the edges, but otherwise in good nick. Will need new strings soon and possibly a new bow.